Thom Yorke’s upcoming cover of Miracle Legion’s “All For the Best” is now streaming at Stereogum. The track is the Radiohead frontman’s contribution to Ciao My Shining Star: The Songs of Mark Mulcahy, out September 29 on Shout! Factory. And what a contribution it is. Yorke’s cover of the Miracle Legion’s “All for the Best” is breathtaking. 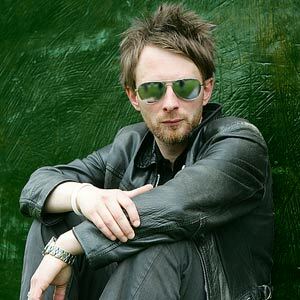 Though the original may be slightly removed from the grandiosity of most Radiohead tunes, its doesn’t stop Yorke from bringing his own blend of minimal electronic based rock to the song. The track takes the skittish drum machines and eerie synths found on Yorke’s solo debut, The Eraser, and drops an explosion of feedback-heavy guitars into the mix. Though the name Miracle Legion may not ring a bell for everybody, the Connecticut band is one of the many musical endeavors of songwriter Mark Mulcahy, a somewhat enigmatic figure in American Alternative music. Mulcahy has released dozens of albums, under either his own name or with the various bands he has fronted. Some may be completely unaware of his music, while others might simply know him as a member of the house band, Polaris, from Nickolodeon’s cult television show The Adventures of Pete and Pete. A year ago, Mulcahy tragically lost his wife. Since the sad news surfaced, 21 artists have offered up exclusive covers of the man’s tunes for a tribute album, which will help earn money for Mulcahy’s twin daugthers. Mulcahy’s music meant a lot to some pretty important musicians. Here’s the track list. 20 additional songs, including one by A.C. Newman, will be added to the digital release. There’s also talk of a few concerts taking place in London and New York, to coincide with the tribute. You can check out Mulcahy’s originals over at his MySpace page.